The Mercedes-Benz F 015 Luxury in Motion having the full package of performance and technology . Shared space in tomorrow's world. 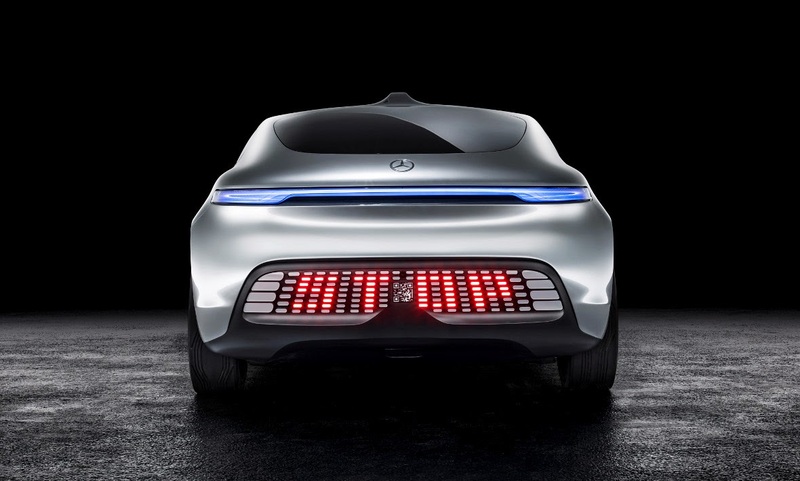 In order to provide a foundation for the new autonomous F 015 Luxury in Motion research vehicle, an interdisciplinary team of experts from Mercedes-Benz has devised a future scenario that incorporates many different aspects of day-to-day mobility. Above and beyond its mobility function, this scenario perceives the motor car as a private retreat that additionally offers an important added value for society at large. 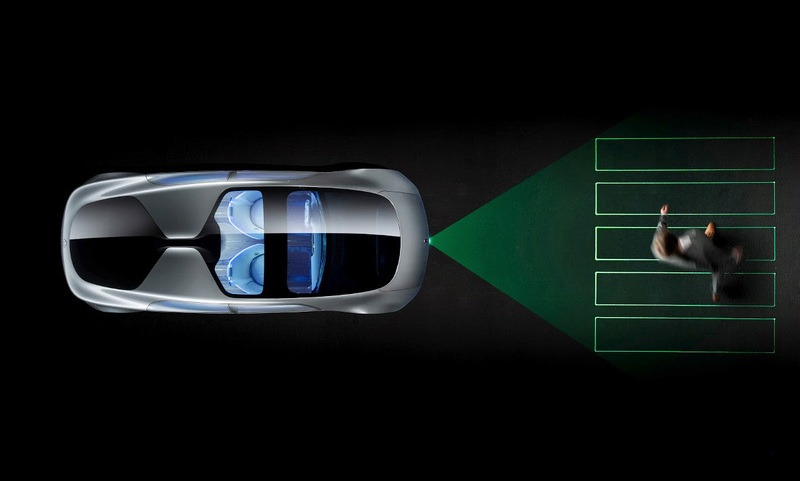 1,100 kilometres of zero-emission driving. The electric hybrid system has a total range of 1,100 kilometres, including around 200 kilometres of battery-powered driving and around 900 kilometres on the electricity from the fuel cell. This enables the F 015 Luxury in Motion to cover distances similar to those of a comparable diesel-engined car, but purely on electric power with zero local emissions. Expressive forerunner of a mobility revolution. 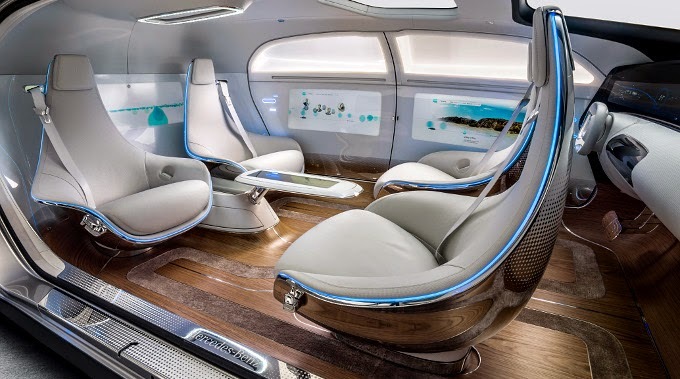 The visionary research vehicleMercedes-Benz F 015 Luxury in Motion was born, a vehicle which raises comfort and luxury to a new level by offering a maximum of space and a lounge character on the inside. Every aspect of the F 015 Luxury in Motion is the utmost reflection of the Mercedes way of interpreting the terms “modern luxury”, emotion and intelligence. This innovative four-seater is a forerunner of a mobility revolution, and this is immediately apparent from its futuristic appearance. Sensuousness and clarity, the core elements of the Mercedes-Benz design philosophy, combine to create a unique, progressive aesthetic appeal. A flowing silhouette and pronounced body shape. The low-slung front end, smooth and streamlined roof line, flat front windscreen and road-hugging rear end give the F 015 Luxury in Motion an extended and decidedly dynamic silhouette. The vehicle body has a pronounced, attractive shape. The generously sized areas of outer skin fit snugly to the body. The greenhouse is tapered sharply towards the rear, resulting in muscular shoulders which lend an eye-catching contour to the flanks. Together with the powerful looking side skirt, this gives the sides of the vehicle additional visual structure. A luxury lounge providing maximum comfort. The transitions between organic, metal and synthetic materials have been designed using matrix graphics; and the flowing transitions deliver a new, unparalleled feeling of bounteous space. The light-coloured fine wood used for the floor, for example, flows almost imperceptibly into the cool Plexiglass of the side panels thanks to their unusual surface matrix. The transition between the vehicle floor and the door panels also echoes the outer body shape in a characterful way. The pivotal feature of the innovative interior concept is the variable seating system, with four rotating lounge chairs that allow a face-to-face seat configuration. One core theme of the innovative interior concept is a continuous exchange of information between vehicle, passengers and the outside world. Six displays are installed to this end all around, tastefully mounted in the instrument panel and the rear and side walls, making the interior of the F 015 Luxury in Motion a digital living space – a perfect symbiosis of the virtual and the real world. Passengers are able to interact intuitively with the connected vehicle by means of gestures or by touching the high-resolution screens. The F 015 Luxury in Motion communicates with its surroundings both visually and acoustically. Large LED displays at the front and rear as well as a laser projection system directed toward the front are responsible for the visual part, while the acoustic communication repertoire includes both sounds and specific spoken instructions.